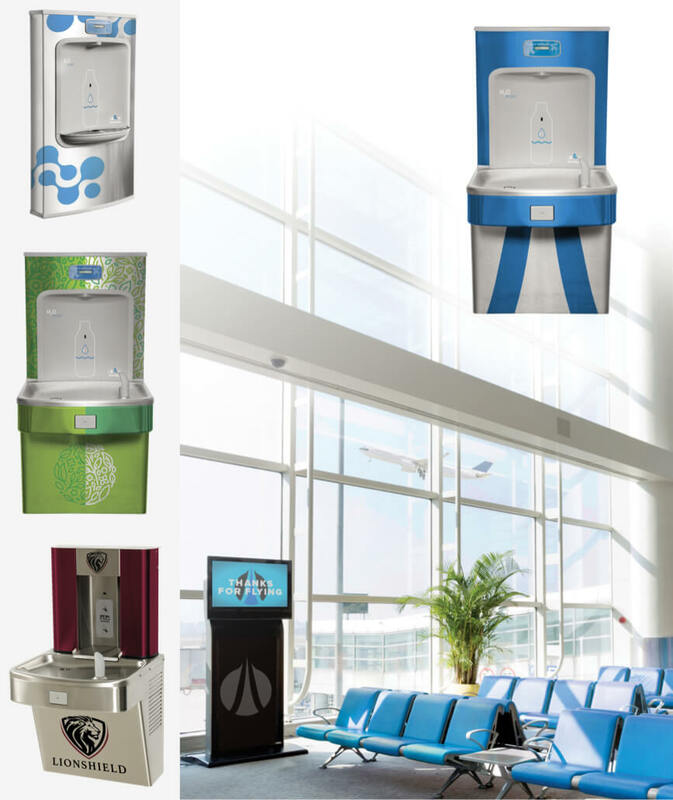 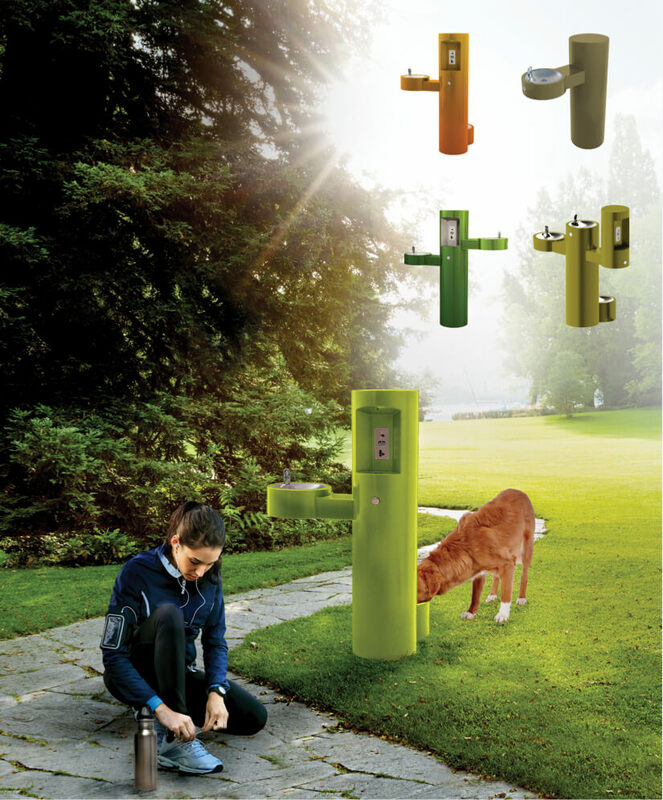 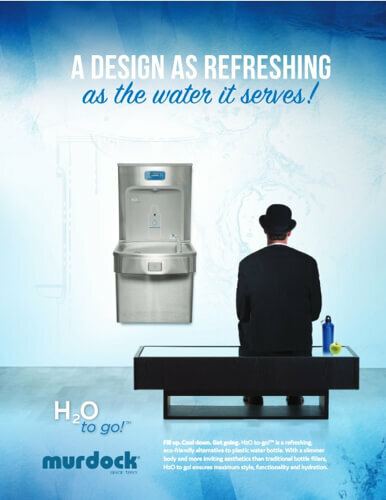 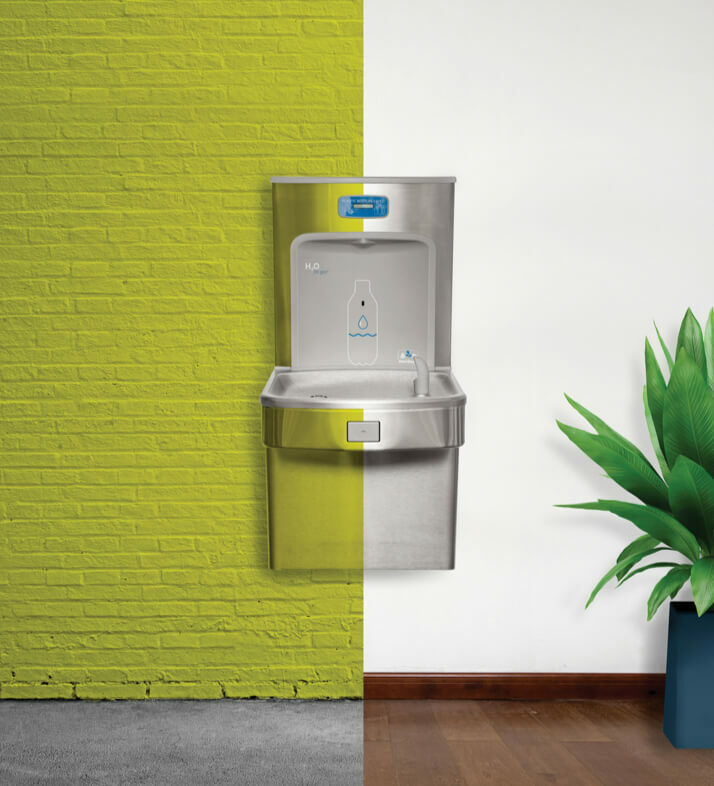 Colorize and customize any Murdock®️ Drinking Fountain, Water Cooler or Bottle Filler to match your facility. 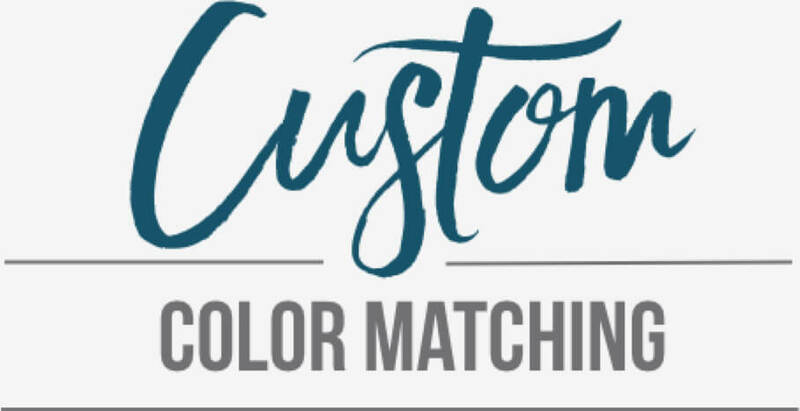 With custom colors and logos, you can effectively increase brand awareness, bolster team spirit or simply enhance the surrounding area! 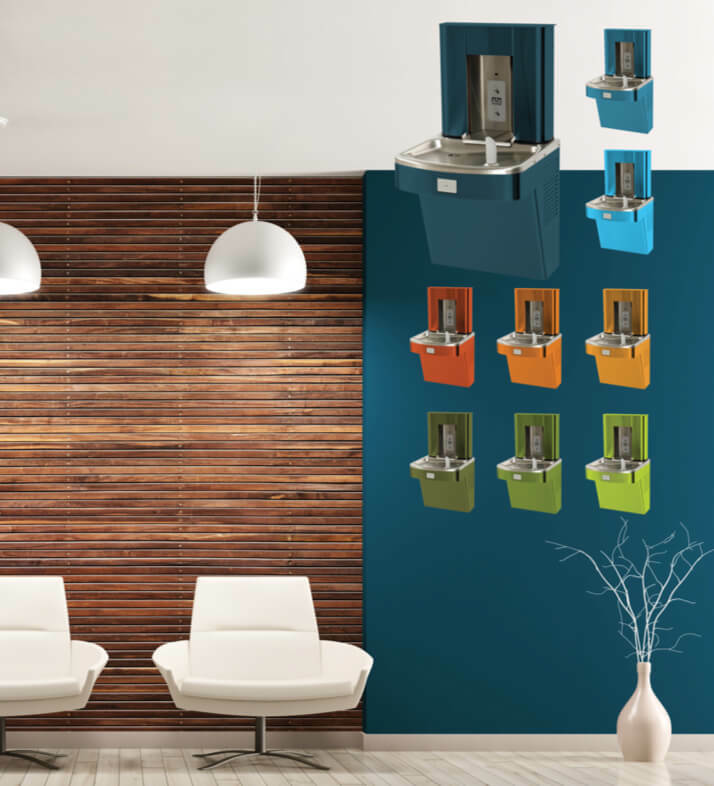 Simple modifications and complex projects – we do it all! 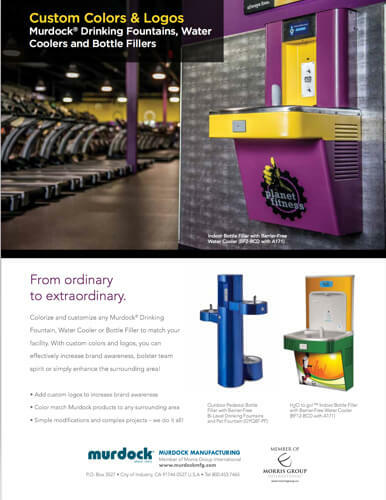 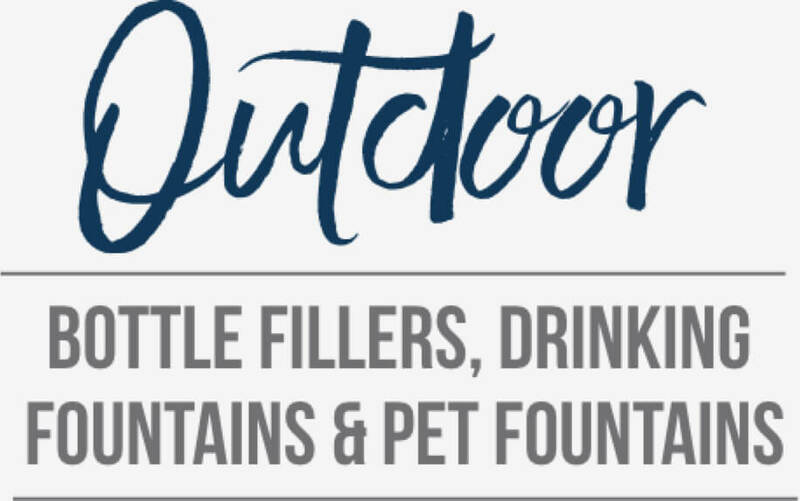 Murdock® provides nearly endless custom capabilities to ensure that our Bottle Fillers, Drinking Fountains and Water Coolers become a unified piece of your facility. 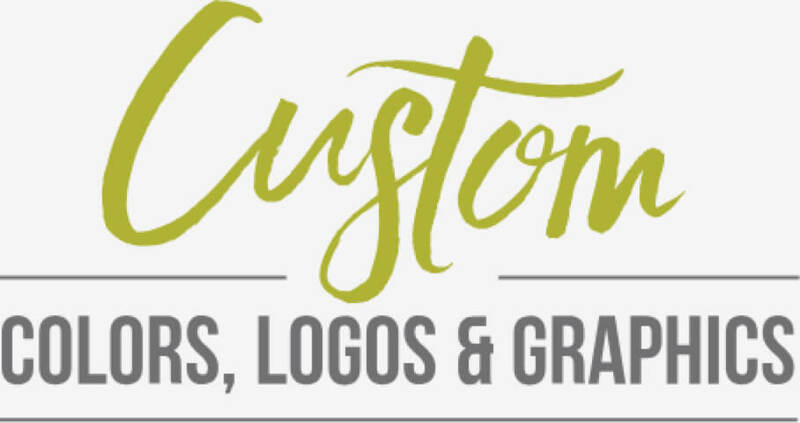 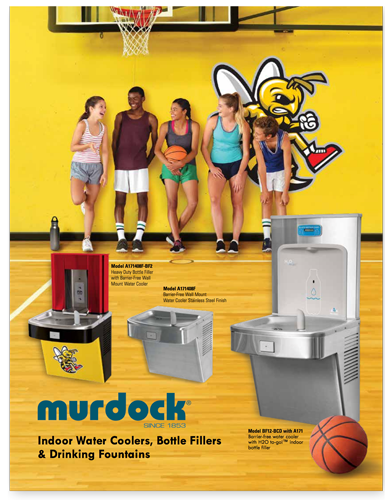 Customize most any Murdock product with personalized colors, logos and graphics! 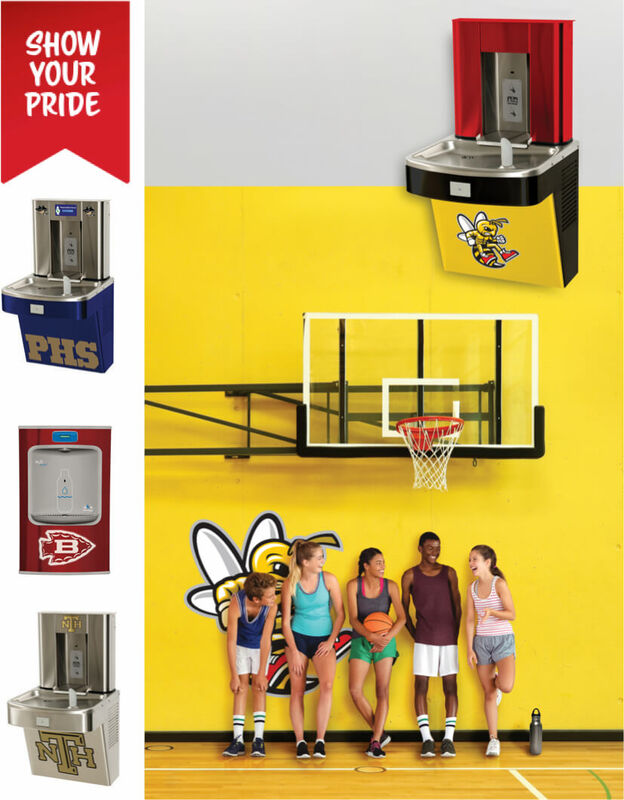 Bolster school spirit and boost team pride with Murdock Drinking Fountains, Water Coolers and Bottle Fillers customized with your school or athletics colors and logo!